Securing your Facebook account was hard before past years. Because spammers and scams were on high before, Facebook introduces new security measures for their users. But in these days everyone is 99 % safe by using new Facebook security options. It is a great Facebook Help. If you are unaware of how to secure your Facebook account by using Facebook new security measures then read below lines. First change your password and do select a strong password as much as you can. To know about whether your password is strong enough please read my article. To change Facebook login password is quite easy. These are the steps to be followed in order to change Facebook account Password. You should activate secure browsing for Facebook in order to prevent scams and spam. Here is 99% secured way login your Facebook Account. For this you should have your own cell phone with active connection. You will soon receive your confirmation code on your phone number. Now if you are using your personal computer/laptop/mobile for Facebook then you can allow Facebook login without confirmation code by giving names of your device. 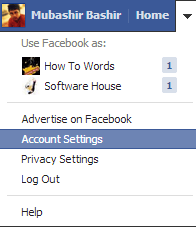 After clicking “Confirm” in the previous step you will be asked to enter your device name on which you are currently logging in on Facebook, enter your desired name and click next otherwise close that window. For Android and iPhone users can set a “Code Generator” for their device if they do not want to receive confirmation code through text every time on login. You will be asked code generation in the very last of above mentioned process if you skipped then you can access and download “App” by following steps. Account Settings/Security/Login Approval → Edit/Setup Code Generator. Now its your turn Share this to your Facebook Friends.